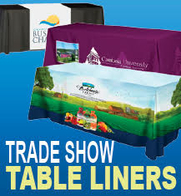 Tradeshows are an ideal place to showcase your products, your services, and your company to new and current customers. A tradeshow is also the perfect environment to capture video content of your booth, preferably in an interesting “news-style” format. Video is fast becoming the media of choice to communicate your tradeshow marketing message after the show has ended. It can help you reach those unable to attend or those who didn’t receive your complete message. Video is also the medium of choice for post-show online ads, email blasts, additions to your website and Social Networking efforts. Companies like Trade Show News Television understand how to create a tradeshow video that captures attention, and how to promote it for maximum viewership after the show. Today, customers would rather watch a 2-3 minute video on your product or company than read a multi-page brochure or editorial….and a trade show is a great place to capture the online video content that sells all year long. Video is the ideal medium for promoting a new product, capturing a trade show exhibit, enhancing a case study, giving the FAQ section on your website more impact, and much more. Plus video can be multi-purposed and is ideal for social networking activities to attract new prospects as well as current customers. Many different businesses are using social networking to attract more customers to their businesses. Tradeshow videos are ideal for social networking because more than ever, people are watching video online and that includes B2B video from a range of companies. Video is the best way to ‘shake the cage’ on your guerilla marketing effort, or to better explain the advantages of a new technology or product. More and more companies are using video to sell, train, promote, persuade, and build visibility. Video on the web can be repurposed for greater value, is usually more attention getting, and offers greater message retention. But getting it seen is critical. Trade Show News Television provides companies with a well-produced video and the know-how to use it as part of a SEO website, online ad, social networking campaign, sales presentation, or trade show display that gets noticed. Online video has become an essential sales tool for businesses. Yet, very few businesses ever videotape their trade show exhibit, launch new products with video, or use video case studies and video FAQ (Frequently Asked Questions) on their website. Trade Show News Television videos let exhibitors reach decision-makers who might not be able to attend their exhibit; attendees who may not have heard the complete sales message; and customers who’ll use the online video to clarify their buying decisions. Colby Fed, Director of Operations for ProximityMedia, talked about the company’s cutting edge and cost-effective mobile marketing methods to distributerich media content. ProximityMedia’s fresh and innovative system uses Bluetooth wireless technology to deliver multimedia messages to exactly the right people at exactly the right time. This high impact form of proximity marketing has been used by Coca Cola, Capital Records, NVDIA, Rolex Watches, Turner Broadcasting, Adtech Tradeshow marketing, and other mega global brands. The power of this proximity marketing solution is in the extreme timeliness of delivering a marketing message. A MediaServer sends out a highly targeted ad message to any Bluetooth device within a defined proximity. Whether it is an ice cream shop in the mall sending out ‘buy one get one’ sale offer or a trade show booth altering attendees of a booth contest, this form of Bluetooth advertising is truly revolutionary — and wildly effective. The Bluetooth MediaServer detects all Bluetooth devices within range (100 meters+) of your location, and “pings” the device–asks the device for permission to send a message. Once permission is granted, rich media content and applications are sent directly and quickly to the device, giving users coupons, mp3 files, photos, text messages, etc. For a device with the power to reach out to so many, the Bluetooth MediaServer is quite compact — about the size of a copy of War and Peace. 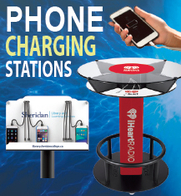 The portable size means that this powerful device can be toted to tradeshows and events rather than remaining stationary at a company’s physical location. Recently, this technology was put to the test at a trade show — and with great success. Univision wanted to draw crowds to their trade show booth and used Bluetooth Proximity Marketing as the sole means of driving contest traffic. 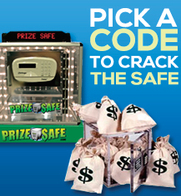 Information about the contest was delivered in the form of multimedia graphics to everyone who had a Bluetooth-enabled device on the trade show floor. “The results of the contest were far greater than Univision imagined – we generated a great deal of booth traffic and contest engagement,” said Fed. Univision is a great example of how businesses can use Bluetooth advertising to generate interest in a trade show environment. Some of the top performance issues at trade shows, like an uninviting booth or an inability to court your key audience, can be overcome using proximity marketing. According to rough estimates, over fifty percent of those who attend trade shows are the technologically savvy type that carry Bluetooth-enabled devices. 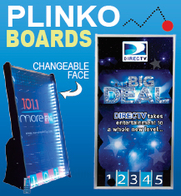 This makes the ability to ping attendees an incredibly useful tool in a trade show setting. Businesses can use this technology to encourage people to enter a contest at a booth, to stop by to pick up free products, or even to promote after-parties, and mix after the show. ProximityMedia’s Bluetooth marketing software even allows businesses to track stats on pings that have been accepted, rejected, or ignored. This advanced tracking makes AB testing possible, allowing advertisers to craft messages that capture the greatest number of targets. MediaServers are available for both purchase and rental. If you’re interested, please visit the website and register to receive more information. If you’ve spent any time researching trade show marketing, you’ve certainly heard of Susan Friedmann. Susan is a powerhouse in the trade show marketing industry – a Certified Speaking Professional (CSP) known as “The Trade Show Coach” because of her twenty years of work teaching trade show exhibitors the secrets to successful trade show exhibiting before, during, and after the show. Because of these two mistakes, exhibitors don’t usually get what they want out of a trade show. This is typically because they go into it not knowing what they want to gain from the show. Susan helps businesses and sales people adapt their sales skills, qualify leads, and set quantifiable goals. People taking the time to plan what they want from a trade show, including pre and post show planning, exceed their expectations with Susan’s help. Susan provides live and web based coaching and training for individual companies through her website. Her popular tip sheet ezine goes out to a long list of subscribers each week. The author of thirteen books and hundreds of articles, her membership site is a “secret weapon” for guaranteed trade show success that helps businesses avoid months or years of trial and error by showing them how to start making a tremendous amount of money at trade shows right now. Steve Miller is not the type of marketing consultant that will just tell you what you want to hear. He strikes the perfect balance between business mentor and humorist — often accomplishing in a few short hours what may business owners have struggled to achieve in years of research. His website is an excellent starting point for any company marketing manager looking to expand their knowledge on innovation, strategy and marketing in general. His blog reads as if you are the sole participant in a marketing seminar and his tradeshow strategies are incredibly simple and sound — for both tradeshow attendees and hosts. Here Miller urges convention managers to ask themselves what EXACTLY sets their event apart from all the other marketing options available to members, attendees and exhibitors. He states that with very few exceptions, every convention and tradeshow has used the same, tired, old template for designing, marketing and merchandizing their events. Miller points out that all too often show managers take sponsors and exhibitors for granted. They rarely dedicate any money, time or energy to year-round quality communication with exhibitors, sponsors or attendees. This is a mistake because corporations now have multiple marketing and communications tools from which to choose that are as effective or better than participating in a tradeshow. Tradeshow coordinators have a tendency to concentrate on the logistics of planning a show rather than their members, attendees and exhibitors. Miller states that this is a dangerous attitude because ignoring the very lifeline of your event could cause it to fail over time. Not only should managers worry about logistical details, but they should also worry about their participant’s return on investment (ROI) and whether or not they will want to participate next year and the year after that! When show attendance is in decline, Miller says that many managers simply assume they just need to sell harder. This is not the case, however, if the show is the same old show as always. It needs to be constantly improving if you want attendance to improve along with it. It was thought that the email, cell phone and Internet would only make the face-to-face business encounters of tradeshows more valuable. Miller is here to say that is not the case, in fact the opposite is true. Tradeshows take up an incredible amount of time away from the office and what is more valuable than time? It is up to tradeshow managers to make the show worth their time. Miller reminds tradeshow coordinators that most exhibitors perceive the convention or shows they exhibit in as necessary evils. Their sales staff complain about having to be there, leads are all but ignored and many corporate executives state that they only attend because their competitors are there, but if they could avoid it they would. Obviously, this attitude is very unhealthy for the tradeshow industry as a whole. Miller helps convention organizers to help exhibitors see their shows as positive, even profitable, investments. If you are planning a show or planning to attend a show in the near future, I highly recommend checking out Steve Miller’s website and signing up for his blog. His insights will absolutely change the way you look at convention and tradeshow marketing. 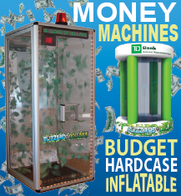 Your tradeshow booth team is the critical link to maximizing your event success. According to Trade-Show-Advisor.com, how you select, train and schedule your staff will determine whether you achieve your exhibiting goals or return home with mediocre outcomes from your time and resources. Display booth representatives carry the responsibility for greeting and pre-qualifying your exhibit visitors, establishing relationships that convert prospects into leads and then into buyers — and personify your product’s quality and image. 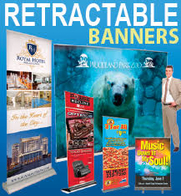 Therefore, always staff your tradeshow booth with the best and the brightest from your company. Your team should be comprised of top employees who deeply believe in your product, have superior customer service skills, evoke professionalism, and fully understand your objectives. Set aside some specific training time in the weeks leading up to the show. Begin training by sharing what will be expected of tradeshow personnel and the specific outcomes you want to achieve from event participation. Ensure your tradeshow booth team has in-depth knowledge of your product or service by reviewing product/service data, customer feedback surveys, advertising materials, and market trend information. Develop a thirty-second script or “elevator speech” that describes your product features and benefits. Then have everyone rehearse it so all team members can consistently, effectively and effortlessly talk about your product, explain how it helps and serves users, and discuss why it is the best solution on the market today. Before departing for the show, review details including how to dress, when to arrive, booth scheduling, and trade show etiquette (i.e. no eating, drinking, phone calls, sitting, etc. while working in the booth). Identifying staffing needs correlates to the size of your display area, relevancy of the audience attending, and type of event in which you are participating. For a trade show staffing formula to help determine the number of representatives you need for effective booth scheduling, review this Trade Show Staffing Formula. Planning and implementing a trade show marketing event can be a daunting task. There are hundreds of details and checklists to follow and it can feel as if every small decision made will affect the show’s ROI. The Trade Show Teacher offers businesses a wealth of training and assistance in planning their trade show marketing campaigns. Linda Musgrove, the Trade Show Teacher, has conducted seminars at many Associations & Trade Shows nationwide focused on trade show marketing, the power of public relations, booth staff training and much more. 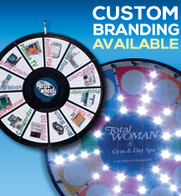 Her company strives to help businesses effectively use trade show marketing to their fullest advantage. One of their most popular learning tools is the educational “Trade Show Tutoring” program conducted by the Trade Show Teacher. This program is customized to fit your company’s exhibiting experience & needs. The goal is to directly increase your trade show ROI by further developing your trade show marketing strategies and training booth staff to effectively engage prospects and convert them to hard sales. If a customized tutoring program doesn’t suit your budget, the Trade Show teacher also offers a step-by step manual and CD focused on defining or improving your business’s trade show strategy, obtaining qualified leads and most importantly increasing your trade show ROI! 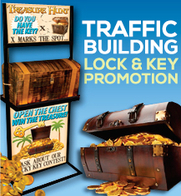 The website also features and informative newsletter and various tips for trade show marketing. If you are struggling with how to best incorporate trade shows into your business’s marketing plan or just want to make them more effective, we highly recommend contacting the Trade Show Teacher. Following up on leads can be one of the single most important aspects of trade show marketing. 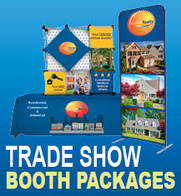 No matter how effective booth graphics and show contests were, if leads are not pursued properly, the trade show would not be considered a success. It is important to reach out to prospects quickly after the show in such a way that they are receptive to hearing more about your business. Brian Carrol is the CEO of InTouch, Inc. and the former President of Carroll Communications. From early marketing experience with Cray, Honeywell, and Piper Jaffray and with broad sales and marketing management experience since, Brian has become a leading expert on business to business (B2B) lead generation. 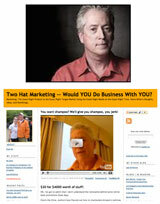 His B2B Lead Generation Blog features expertise related to B2B marketing, lead generation and complex sales. It is an excellent resource for reading about the latest advances in managing your trade show or other business leads. Brian researches software and database options for lead generation, profiles what other successful businesses are doing and generally stays on top of B2B marketing. Brian’s B2B knowledge and expertise led to his first book, Lead Generation for the Complex Sale (McGraw-Hill June 2006). His speaking engagements allows him to coach over 20,000 people a year on improving their business’s marketing effectiveness and lead generation strategies for the complex sale. If your business is lacking in lead follow up following a trade show, we highly recommend joining the thousands of businesses who are already relying on Brian’s blog to guide their B2B lead generation techniques.